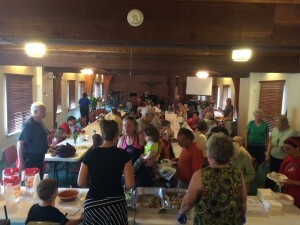 Since 2008, Pay It Forward Cafe has been blessed to call Parma Park Reformed Church (Church in the Woods), The Branch Community Church, Parmatown Mall, and New Life Fellowship Church, “Home.” And now, starting in January 2016, Han Madang United Methodist Church will be added to this list for the winter months period. Last winter, Community Ambassadors made the tough, but necessary, decision to close the cafe from January through April due to safety concerns for patrons who, because of limited parking, would have had to walk unsafe distances in the cold or snow to get to the cafe. Word of this concern eventually spread to Bohyun Yu, pastor of the Han Madang United Methodist Church (UMC), prompting him to avail their church for Pay It Forward Cafe in 2016. 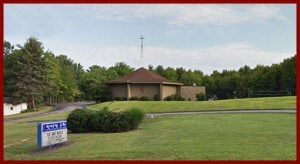 Han Madang UMC, a Korean/International congregation, is located at 7800 Pleasant Valley Road in Parma. Their large fellowship hall provides a full kitchen and dining space that will allow us to effectively facilitate the Pay It Forward Cafe. Our first Saturday at the new location will be January 16, 2016. We will remain at this location until the end of April. Throughout the years, we have been so grateful for the resources God has provided us to be able to facilitate the Pay It Forward Cafe program. Without these provisions and the spirit of collaboration that we’ve seen time and time again from area churches, businesses, and volunteers, Pay It Forward Cafe simply would not exist. If you would like to learn more about Pay It Forward Cafe or see how your church can partner with us, please email [email protected] or call 216.200.7030. What is Pay It Forward Cafe?